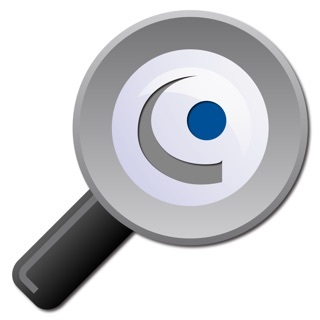 For questions or suggestions, please visit GeoVision's website at http://www.geovision.com.tw/english/4_0.asp or contact GeoVision Support at support@geovision.com.tw for updates and solutions! 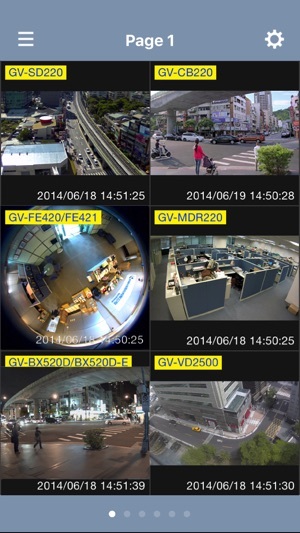 GV-Eye is a free remote view application that allows you to access the GeoVision IP devices (GV-IP Camera, GV-SNVR, GV-Video Server) and software (GV-VMS, GV-Mobile Server, GV-Recording Server, GV-DVR/NVR) from your iPhone or iPad to remotely watch multiple live views, receive audio, do PTZ control, play back recordings, trigger a remote output and take snapshots. 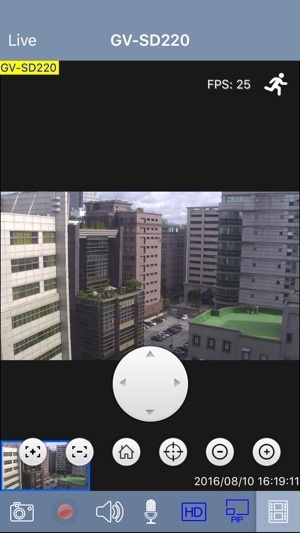 It supports Megapixel resolution for quality imaging. A few fixes would be appreciated! Please update the app to use more screen. There’s a lot of blank space that could be used to make the camera view bigger. Looks like the app isn’t optimized for iPhone Plus sizes and iPhone X. When I navigate away from the app for several minutes or longer and come back, all of the cameras are frozen and take about 20 seconds to refresh. It’s faster to force close the app and re open. Let the cameras stream in the background or add an automatic refresh/refresh button. Would like to see Apple Watch support! Would even pay for all of the features/updates mentioned above! Thanks. 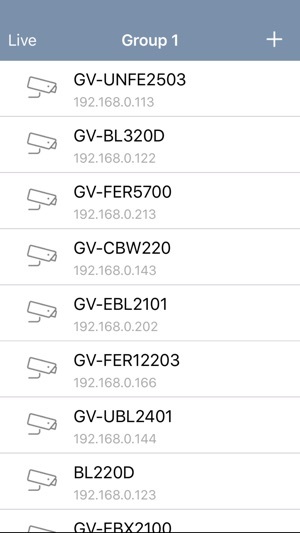 While I currently only have one GeoVision camera - the GV-EFER3700-W - this app works well and never crashes or fails on my iPhone 8, using both WiFi and internet. If it crashes on your iPhone, try deleting it and reinstall. What’s cool is that the camera has a fisheye lens, which can see the entire room at once, and this app can remove the distortion and make the scene flat, even while planning around. As a reseller of GV for the past 14 years, I have never seen a company in a worse disarray. QA and customer service has essentially disappeared from this company. Poor experience all the way around. 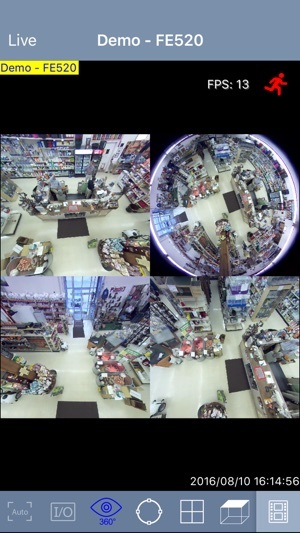 We have lowered our purchases from them in hopes to completely switch and have sourced other, more reliable, organized and caring companies such as Hikvision and Dahua. Time to say Good Riddance GeoVision. Decision was very long due. I am sure you absolutely do not care to lose such a loyal reseller.